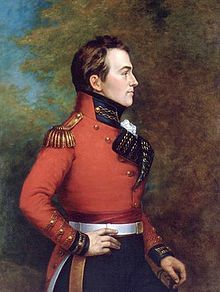 The Isaac Brock Society | The Cruz Chronicles 1: His Canadian citizenship is not in doubt. Is Senator Ted Cruz a US citizen? The Cruz Chronicles 1: His Canadian citizenship is not in doubt. Is Senator Ted Cruz a US citizen? Those taking the oath of citizenship swear total devotion, obedience, and servitude to the United States. Yet, the U.S. has many citizens who continue to be citizens of other countries – making them dual citizens. Does dual citizenship imply dual loyalty? Does dual citizenship imply divided loyalty? Should a U.S. Navy pilot with dual Canadian/U.S. citizenship be forced to renounce his Canadian citizenship? Interestingly only those citizens who did NOT acquire U.S. citizenship by being born in the United States are required to promise such devotion, obedience and servitude. Mr. Cruz was born in Calgary, Canada in 1970. It is likely that from the perspectives of Senators Levin, Schumer, Reed and others, that this is odd and suspicious. Was his Canadian birth planned by his parents? Why would they allow young Ted to be born outside the United States? After all, the state of Montana is not far from Calgary. There were “fifty perfectly good states” for a child to be born in. Why would his parents allow Mr. Cruz to be born in Canada? Were his parents ever disloyal to the United States? What were they doing in Canada anyway? Certainly there were perfectly good jobs available to them in the United States. Were they trying to evade U.S. taxes? Did they file their FBARs? They may have been running a business. What a from 5471? Should they be punished for leaving the United States? The Cruz family went where they could make a living. They went where they could feed themselves. Ted Cruz was born in Canada because – are you ready for this – it’s where the family was living. In 1970, the law was that a person born outside the United States had a claim to U.S. citizenship if one parent was a U.S. citizen and that parent had at least ten years of physical presence in the U.S. and five years after the age of fourteen. If you are born outside the United States – The citizenship of your parents matters! Introducing Mr. Cruz’s Mother: Mr. Cruz bases his citizenship on the claim that his mother was born in the United States (in that notorious tax haven of Delaware). Mr. Cruz and Mr. FBAR were both born in 1970. 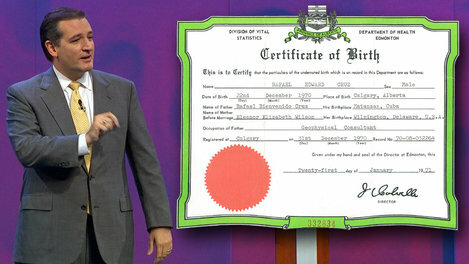 Mr. Cruz was born “offshore”, in a foreign country – Calgary, Canada. Mr. FBAR was born in the Homeland. Mr. FBAR was designed to “alert the Homeland” to “offshore” Americans. Did Mr. FBAR play a role in the detection of the Cruz family? Apparently Mr. Cruz lived in Calgary until he was 4. What was he doing during those 4 years? Did the family have a bank account with a Canadian bank? Did his parents have a bank account for Mr. Cruz? Should an FBAR have been filed on his behalf or on behalf of his mother? Did the family file their U.S. tax and information returns? Q. What if Mr. Cruz had been born in the United States and left at the age of four for Canada and never “claimed” his U.S. citizenship? Would the U.S. take the position that he was NOT a U.S. citizen? A. The U.S. would take the position that he was a U.S. citizen whether he “claimed his citizenship” or not. It would then assert direct rights of ownership and abuse over him. It’s difficult to have the course of your life determined by your place of birth. Ask those five to seven million U.S. citizens abroad! Geography is their wound! The issue is not whether the Senator has a passport. The issue is not whether the Senator has been living in the U.S. since he was four years old. The issue is whether he is a U.S. citizen. Given the U.S. suspicion of anything foreign, Mr. Cruz should have to prove his U.S. citizenship now and for all times. This means that he needs to be held to the strictest of proof. 1. Identify the person who he claims is his mother. 2. Allow for DNA testing to prove that this person is really his mother. 3. If the DNA testing shows that the person is truly his mother, then the mother’s “birth certificate” must be produced. 4. If the mother’s birth certificate is produced, then documentary evidence of physical presence in the U.S. must be shown for the appropriate ten years and five years after the age of fourteen. We are living in unprecedented times. We don’t know why Mr. Cruise was born outside the U.S. His citizenship must be convincingly proven. If Mr. Cruz cannot prove items 1 – 4, then he should be treated the same as any illegal alien. To fully understand the problem you must read Nelson Demille’s “The Charm School”. For all we know, this could have been written about Senator Cruz. Look. U.S. Citizens Abroad are presumed to be criminals because they live outside the Homeland. In many cases, they were born in the Homeland. This Senator, by his own admission, (this man who claims to want to be President), was NOT born in the Homeland. Therefore he should be subjected to AT LEAST as much scrutiny as U.S. citizens abroad. He claims to be a U.S. citizen. Then he must prove it. Reading comprehension is obviously a problem — or eyesight. Good observation!!! Test it this way: U.S. citizens abroad, who have never set foot in the United States and didn’t even know they were U.S. citizens may be subjected to the U.S. Exit Tax. Why should a person like Senator Cruz – who actually lived in Canada – be somehow exempt? The Senator doesn’t have to pay an Exit Tax because he is “trashing” his Canadian citizenship. If he were to join the growing ranks of those “trashing” their U.S. citizenship it would be different. You would have to pay the United States for your freedom. Even U.S. citizens abroad, who didn’t even live in the U.S. and didn’t even know they are U.S. citizens are subjected to the Exit Tax. How do you spell CONFISCAT___ ? A tale of two citizenships – Not all citizenships are the same! It’s interesting that Senator appears to prefer the citizenship that makes him a U.S. chattel. But, that’s his choice. But, back to the Exit Tax. bubblebustin – mother is a foreign citizen, father is a foreign citizen. Medicare rules that you can’t get Medicare until you’re one year resident in Canada. It would all depend on whether or not his mother and father were in Canada legally for one full year prior to his birth. SO the ultimate question is: Did they lie to get services? And as a Canadian patriot, if one spits on the country he was born in and that Canadian taxpayers paid into Alberta Medicare to fund the services his mother used to give birth to; by saying that he’s “an American by birth”, then he should damned well pay back what his FOREIGN mother used off the backs of Canadian taxpayers. People need to calm down – his parents would have been paying taxes in Alberta at the time of his birth. Possibly also Medicare premiums – remember those? I’ve emailed the Votemaster of Electoral-vote.com to let him know of his egregious geographical error. When a parent naturalizes, his or her children may “derive” U.S. citizenship automatically, provided they have green cards and are under age 18 and living with the parent at the time. Becoming a U.S. citizen in this way has a special benefit: A child who gets U.S. citizenship through the naturalization of either or both parents does not have to participate in a naturalization ceremony. @bubblebustin The father naturalized in 2005 in which year the son was 35–well past the age 18 limit to derive citizenship automatically through the father’s naturalization. Moreover getting citizenship this way would not qualify one as natural born even if it occurred before 18. @USCitizenAbroad I’m not too sure where this idea that Canada has no Exit Tax comes from, but it is dangerous misinformation. Canada’s Exit Tax works differently, however. The Exit Tax kicks in when one ceases to be a tax resident of Canada. Precisely because it is easier to give up Canadian tax residency than to give up US citizenship, it is also easier to trigger the Canadian exit tax. One is supposed, however, to file a departure return declaring one’s departure from Canada and paying any exit tax due that year. If one fails to do so, one is at risk of continuing to be considered a Canadian resident until one does so. I’m not sure how old one needs to be before one is considered to be a “tax resident” of Canada and needs to jump through the expatriation hoops. I’m guessing that Cruz, having left at age 4, would not have any problems. But I wouldn’t be 100% sure of that. @USCitizenAbroad Sounds like it would be complex for Cruz to prove he is a US citizen. And that is just my point–if his citizenship rests on complex rules, it is hard to claim that he is really a “natural born” citizen for the purposes of the presidency–even if he can eventually show convincing proof that he is some flavor of citizen. Although the term “natural born” has never been defined under US law, it certainly seems to me to imply that someone is very clearly a citizen based solely on the circumstances of their birth. I didn’t know the father naturalized then, thanks. I made the point because if proving the mother’s residency was too onerous for them, they may have take a path of least resistance and thought it would produce the same result. Thanks to you, our trail Blazer, and our French connection (Victoria) it looks like “The Hill” is among the better informed of US publications. You got everything absolutely so spot on it made my heart thump and my fist pump. The “Flattery” typo was amusing. We all hope “flattery” gets us somewhere not nowhere. You (and Victoria) — awesome! — thank you! Rahm Emmanuel is infamous for saying “You never want a serious crisis to go to waste.” Now you and others are taking good and fair advantage of the Cruz dilemma — turning his discomfort into an opportunity to tell people about US tax policy tyranny. Way to make lemonade, Blaze! @Blaze, Way to Go!! What a Wonderful Article! Great Comment Victoria! Is correct there is a deemed disposition on Canadian resient leaving Canada. I remember I had to pay 25% on RRSP amount in 1980s. I wish I never went down for that 18 months to USA. My comment at 1:53 says there is no Canadian tax on renouncing citizenship. 1. Canada has a tax on ending Canadian residency – called a “Departure Tax” – sometimes referred to as an “Exit Tax”. Canada does not have a tax on renouncing citizenship. 2. The U.S. has a tax on ending citizenship – “Expatriation Tax” – 877A. The U.S. does not have tax on moving away from the U.S.
@USCitizenAbroad Yes that clarifies the difference. I guess my question is–if someone applies to renounce Canadian citizenship, will they be required to prove that they paid any required departure tax–even if the departure tax was due years earlier when they gave up Canadian residency? I noticed that “Simple Premise” is still listed as Most Discussed and “Nothing Against” is close to the top of the currently Most Viewed. I think The Hill is onto a great topic to boost its readership … thanks to Lynne and Victoria.